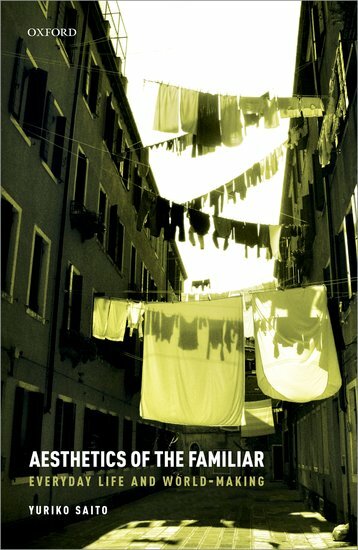 Yuriko Saito (Professor, History, Philosophy + the Social Sciences) has had her second book, Aesthetics of the Familiar: Everyday Life and World-Making, was published by Oxford University Press. In addition to the Aesthetics of the Familiar Saito was also recently published, Arjen estetiikan vihertyminen, which is the Finnish translation of “The Greening of Everyday Aesthetics” in Vihreä päänsärky! Taidetta siemenestä kompostiin (Green Headache! Art from Seed to Compost), publication in conjunction with art exhibition Vihreä maa – Kukkiva kaupunki (”Green Earth – Flowering City”) March 31- July 2, 2017 at the Art and Museum Centre Sinkka, Finland (Helsinki: Maahenki Oy, 2017). Saito also published The Role of Imperfection in Everyday Aesthetics in Contemporary Aesthetics 15 (2017) and Plants and Everyday Aesthetics was included in Moving Plants, a catalogue published in conjunction with the exhibition, Moving Plants, July 1-Sept. 24, 2017 at Rønnebæksholm, Denmark), ed. Line Marie Thorsen (Rønnebæksholm, 2017).